If ever you need prayer... just ask me. I'll pray now and tomorrow and whenever I think about it. I'll write your name down so I don't forget. I'll pass it along to prayer chains, turn in a prayer card at church, and post your name on my Prayer Wall. I'll do my very best to pray for you and keep my word. Because I know prayer works. I know God hears us. And I know He answers. He is faithful. It's so important to be covered in prayer. I pray for my family every day. Whenever they come to mind... wherever they are. I know He hears me. Then why is it so hard for me to ask others for prayer? Bringing our requests before God is an awesome privilege. I know this. Being in agreement with others is powerful. Standing in the gap for others is a wonderful thing. Yet... I don't feel as if my needs are as important as others' may be. I feel like I'm just complaining. Like everyone else's requests are so serious or major... that my asking someone to pray about my 'little' worries is a sign of weakness. But that, I know, is a deception. So... I'm just going to put it out there. By the time this posts, I will be on my way to the surgery center with my mom. She is going in for her 4th surgery for a Basal cell carcinoma that was left untreated for too long. It's the most common form of skin cancer. It isn't life threatening... but, can be disfiguring. She has been in surgery twice to remove it completely. The result of that is the removal of almost 1/2 of her nose. Her last surgery was the first in a series of reconstructive surgeries. They are performing skin-grafts to create a 'flap' to cover her nose and may have to use cartilage from her ear. She has been such a trooper through all of this. She is feisty... I know that keeps her going. She has had bandages on her face for over 3 months now. She doesn't want to go anywhere because she thinks everyone is staring at her. Her cheeks are so chapped from all the tape and band-aids that it gets painful. The surgery tomorrow is going to require a longer recovery time and the entire process may go on through the summer. Hopefully not longer. She also has hearing loss, Meniere's disease, and emphysema from second hand smoke. Not to mention her eyesight isn't what it used to be. I know the Lord could heal her of it all if He chooses. Would you please pray for my mother? She is 77 years old. She's tiny, petite, fragile... yet still strong enough to move her furniture around all by herself when she wants to. :) Please pray for a quick recovery and that the Lord would bless the doctors to do the best job possible. Thanks so much for interceding. God bless! I have some prayer requests. Pray for my friend Cameron who is going though rehab right now, and for Patricia who is trying to get a new house and job and heal from a messy break up. Pray for me Linda that God would bring healing and restoration and wholeness to my life -to my mind my intellect, spirit soul so i could live and proper in my life and faith-that each day would be filled with joy, energy, and healing and not just laying in bed half the day that he would help me with getting and doing well at job i am trying to get, --I want my life to be restored so I can feel God's presence and guidence again, have good fiances and job, ride my bike and lose weight, and Pray that God would help my family with their fiances and health and help Jason with the issue with his firefighter job and that would go favorably for him and he would have great healing. I'm sorry for the delay in answering. 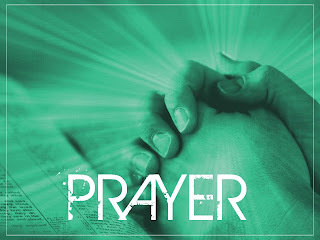 Please know that you and your requests are in my prayers. God is so good! He is working in our lives even when we don't see the evidence clearly or have an answer quickly. But He never fails! I know this from experience. He's answered prayers for me that are similar to yours. I hope to be writing testimony soon to encourage others. I'm standing with you in prayer!